Set your time machine for five years back and you’ll find yourself in a vastly different beer world. There were only about 3,000 breweries in the U.S. at the beginning of 2014, versus more than 7,000 today. Black IPAs were still hot. And the cutting edge of craft included lots of Brettanomyces, a so-called “wild” yeast that had long been considered a spoilage agent in most beer and wine, beyond its role as a traditional component of Lambic and other rustic Belgian styles. But by early 2014, Brett was being reappraised as a quality fermenter—something brewers would want to work with, rather than avoid. In part, this was due to a single strain of Brettanomyces. Instead of the distinctive flavors (and off-flavors) that typically characterize Brettanomyces, a special version of the yeast was said to produce remarkably clean fermentations, with just a bit of Brett’s funk and fruit. In a departure from Brettanomyces’ notoriously slow fermentation times, the yeast popularly known as Brett Trois was also said to work nearly as fast as the traditional brewer’s yeast, Saccharomyces cerevisiae. An apparent reference to its source at the 3 Fonteinen brewery (or “Three Fountains” in Dutch), the popular White Labs strain WLP644 Brettanomyces bruxellensis Trois (meaning “three” in French) was beginning to challenge everything brewers thought they knew about Brett beers. That evidence? Basically everything that brewers loved about Brett Trois, from its speedy start-up time to its delicious pineapple and mango notes. Brett Trois had none of those characteristics. At the time, Shaner’s Omega Yeast offered several types of Brettanomyces, including its own versions of Brett Trois. But eventually, Shaner’s doubts about Brett Trois caused him to ask a friend from graduate school to take a look at it. “He had it sequenced, and he said that it came back Sacch,” Shaner says. 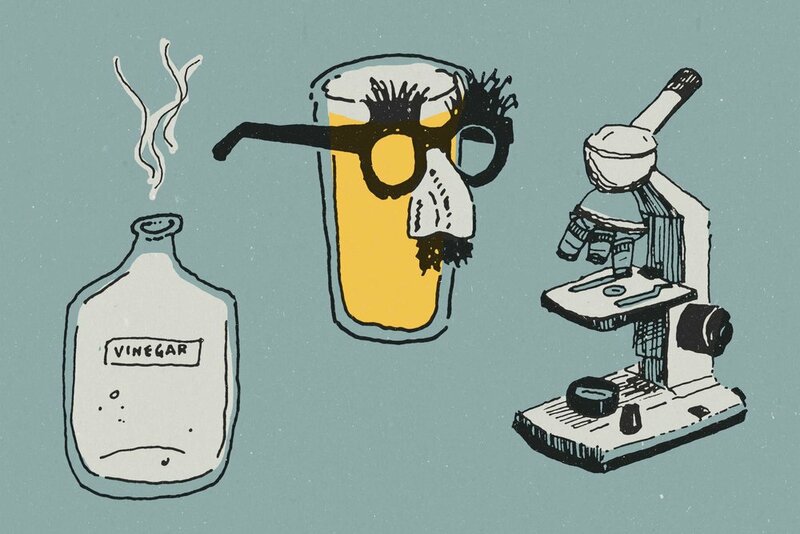 The idea that the brewing world’s favorite type of Brettanomyces was not actually Brettanomyces would have come as quite a shock to many brewers in 2014—after all, it says “Brettanomyces” right on the package. However, the genetic sequencing used by Shaner’s friend was relatively rudimentary, meaning that the initial result was not 100% certain. Shaner decided to send the yeast to a professional research institute. By late fall, a few others had started to poke around under the hood of Brett Trois. Much of the conversation was taking place on Milk the Funk, a Facebook group that has long focused on brewing with Brettanomyces and other unusual microbes. In Milk the Funk’s archives, you’ll find numerous threads discussing the yeast and its behavior by late 2014, including occasional peanut-gallery speculation that Brett Trois might actually be Saccharomyces. He further explained that his goal was primarily to accurately label a product he was selling. (Naturally, the comments on his post included plenty of bad puns along the lines of “BrettaNOmyces,” and Shaner himself contributed a stroke-of-genius asterisk clarifying that Omega Yeast’s Brettanomyces Blend #1 “*may not contain Brettanomyces.”) Neither of the two posts mentioned White Labs by name, but the comments revealed that people were reading between the lines: it wasn’t just Omega Yeast that had been selling a type of Saccharomyces as Brettanomyces. White Labs was, too. Beyond issues of accurate product labelling, Shaner says, misidentifying a type of Saccharomyces as Brettanomyces was affecting both brewers and drinkers. A few months later, White Labs announced that it was definitively reclassifying WLP644 as a type of Saccharomyces. All of this might sound like a not-great experience for White Labs, since the company was the main source of Brett Trois at the time. But when you talk to White Labs employees today, you’ll get a different impression. Troels Prahl is the vice president of innovation and European operations for White Labs in Copenhagen. When asked about his memories of the Brett Trois controversy, Prahl was resolutely positive. Another upside, Prahl adds: brewers who were afraid of working with Brettanomyces due to possible contamination issues now had a version of Saccharomyces that offered some of the appeal of Brettanomyces without the risk. That sense of no longer having to worry about Brettanomyces contamination seems to have been widely shared. Shaner made a similar comment in his original post announcing that Brett Trois was really Saccharomyces, an idea that many passionate Brett Trois fans didn’t want to accept at the time. A related benefit, Prahl says, was the increased focus on sanitation and proper handling procedures in breweries where both Saccharomyces and Brettanomyces were being used. Improved sanitation was a clear win for breweries. Increasing consumer awareness of different types of yeast and how they work counted as another clearly positive result. That continuing realignment is part of a much wider trend in scientific understanding today. Prahl notes that the genetic advancements of the past half-decade have turned scientific classifications upside-down—and not just in the world of beer. While earlier biological classifications were made based on observable traits or characteristics, recent genetic testing has caused scientists around the world to suggest reclassifying philodendrons, tigers, grasshoppers, and even rails. Even before Brett Trois was reclassified, Prahl says, the company had embarked on a multi-year study of all of its microbes, which provided White Labs with the data for a groundbreaking 2016 paper about the origins of ale yeast. The results of that research—and the ensuing new discoveries—are still unfolding. Pretty soon, there might be a new shakeup that echoes what happened with Brett Trois in 2014.